(1979/Bulldog) 20 tracks - all his Rockers recorded for the Capitol label in the 1950s! Great compilation! When hailed as a rock 'n' roll pioneer, Merrill Moore was usually too polite to say that he really didn't care for rock 'n' roll at all. Born on September 25 (or 26th, per his application for Social Security), 1923, in Algona, Iowa, Moore began playing piano on the family farm. Aged 12, he was the pianist for the Cooper Family Gospel Quartet. In 1941, he became a professional musician, joining the Chuck Hall Band on a tour of Midwestern ballrooms. After service in World War II, Moore and his wife, whom he'd met in the gospel quartet, made their way to California. By 1948, they'd settled in San Diego, and he was playing the oceanfront bars. 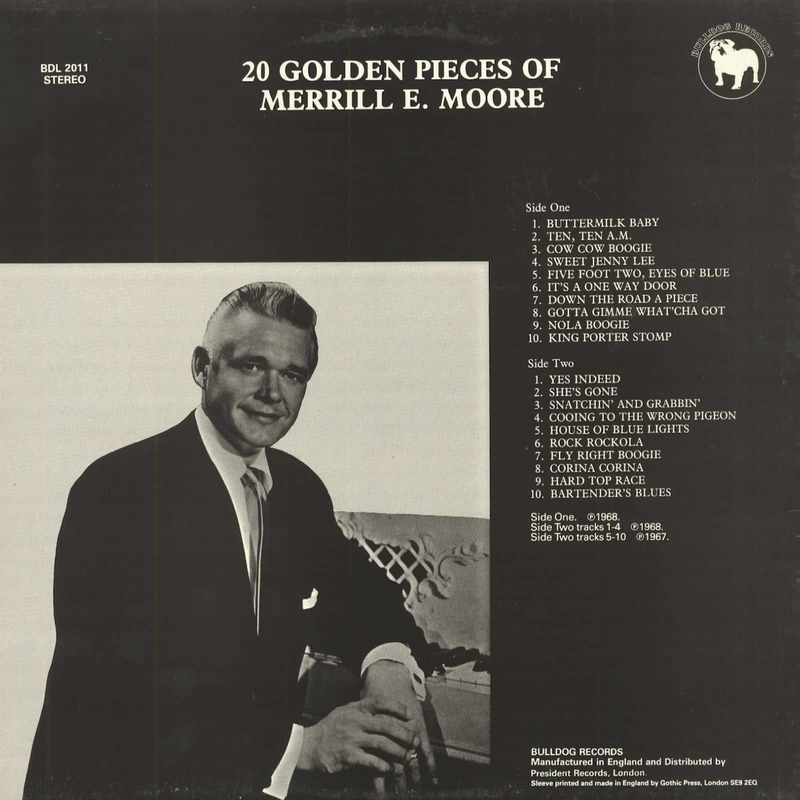 Following an impromptu performance at a musicians' party, Moore was offered a seven-year contract by a local kingpin, Jimmy Kennedy, who brought him to the attention of Capitol Records' A&R man Ken Nelson. After coming to San Diego to catch the band, Nelson offered a contract. Moore played sophisticated boogie woogie and blues, rooted in the jazz and western swing he loved. His favorite artist was Freddie Slack, and his goal was to re-create the big band sound with a small group. The problem was that Moore couldn't tour to support his records because he was locked into Kennedy's clubs. As a result, the records only sold locally. Nelson remained a fan and used Moore on sessions by Skeets McDonald, Sonny James, Wanda Jackson, Faron Young, Merle Travis, and others. 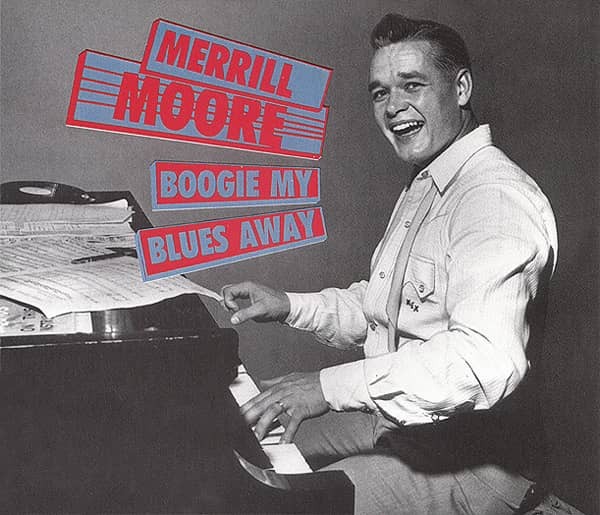 Red Light was Merrill Moore's second single, and it was a loose aggregation of blues clichés that made up in panache what it lacked in originality. The listed composers on the record were two Tin Pan Alley veterans, Harold Adamson and Jimmy McHugh, but Capitol got it wrong. The song was written and originally recorded in 1946 by jazz bassist Red Callender and his drummer, Lucky Enois. Moore probably didn't hear Callender's record but had most assuredly heard Roy Milton's 1946 recording for Milton's own label. While most white singers churned out excessively mannered and milder versions of R&B songs, Moore's Red Light was more amped up than Callender's original and even gave Milton a run for his money. 'Billboard' liked Moore's record, saying "novelty could pull dee-jay spins." Alas not. Moore recorded for Capitol until 1958, but never left the clubs of San Diego. And then, some ten years later, he became a legend in a country he'd never thought about. Max Needham, a columnist in Britain's 'Record Mirror,'began a quixotic one-man quest to popularize Merrill Moore. In 1967, he persuaded British Ember Records to license an album of Moore's Capitol recordings, grandiloquently titled 'Belly Full Of Blue-Thunder.' Needham's liner notes made up in hyperbole what they lacked in knowledge. 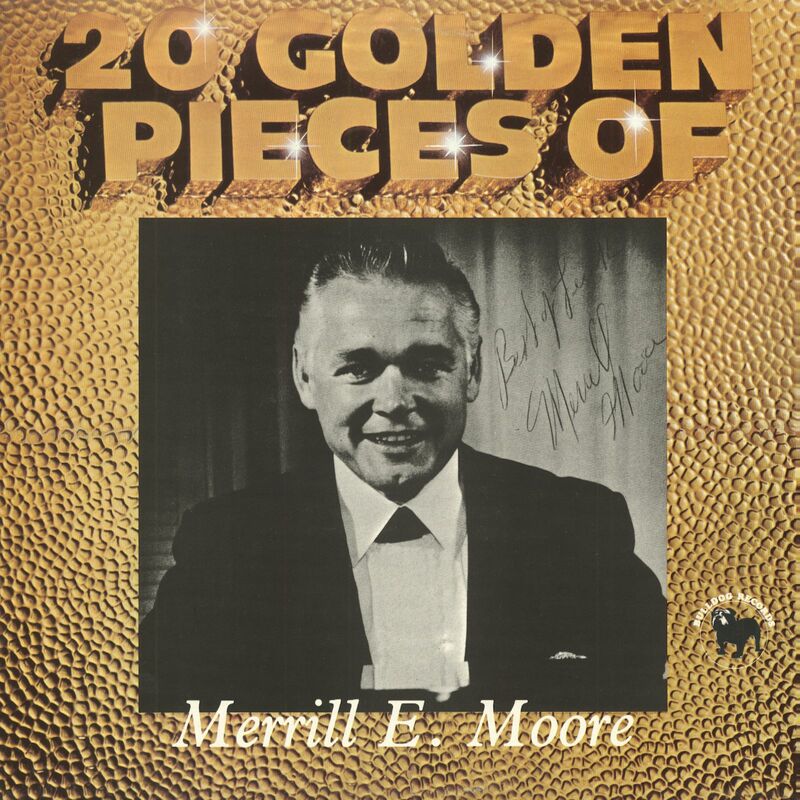 Moore was tracked down and recorded an album for B&C Records (where Needham worked) in 1969. He eventually went to England in 1970. "I was shocked by all the people swarming about me, saying I was some kind of rockabilly pioneer," he said. "First of all, I didn't know what rockabilly was." Still in San Diego, Moore died on June 14, 2000 (or June 15 per his Social Security file). (For all of Merrill Moore's Capitol recordings, see Bear Family's 2-CD set, 'Boogie My Blues Away', BCD 15505). Customer evaluation for "20 Golden Pieces"